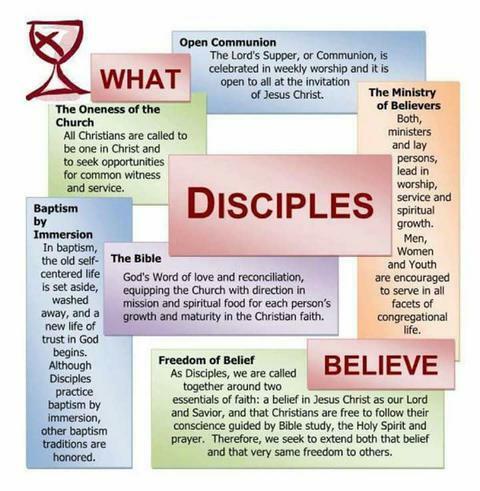 Welcome to South Side Christian Church (Disciples of Christ). Members of this church have been a witness of the love of God and Jesus Christ for over 100 years. 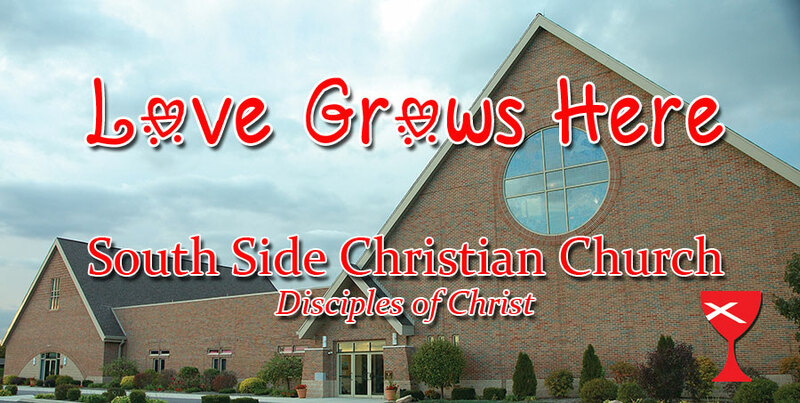 LOVE GROWS HERE is a slogan which not only represents our congregation, but also the community that surrounds our church. Worship is the heart of our Christian life. Through Worship, Christian Education, Fellowship, and the community - WE GROW!!! Communion is celebrated each Sunday and Wednesday. Junior Church is available during Sunday worship hour for grades K-4. A CPR and AED certified nursery attendant is on duty during Sunday School and worship. If you are going to be gone on the weekend, or your work schedule does not permit you to attend Sunday services, you do not have to miss worship! Each Wednesday Worship service includes music, scripture, a message, and communion. The service begins at 7:00 pm and lasts about a half hour. We welcome not only our church family, but anyone in the community that would like to attend.